In this post I am sharing my newer artworks and a new idea that hit my mind after creating these artworks. To put it short, I have realized that I need to do something to expose my paintings, get known, and make sales so that I can continue to paint and create artworks. Money seems vital to be able to survive the high costs of the art materials like paints, brushes, paper, and so on and I have realized this in the right time. With that thought, an idea stroke my mind which was to NOT keep any finished painting with myself. Either I should sell it off or I should do something with it so that it will be helpful for me to make leads in selling newer works. 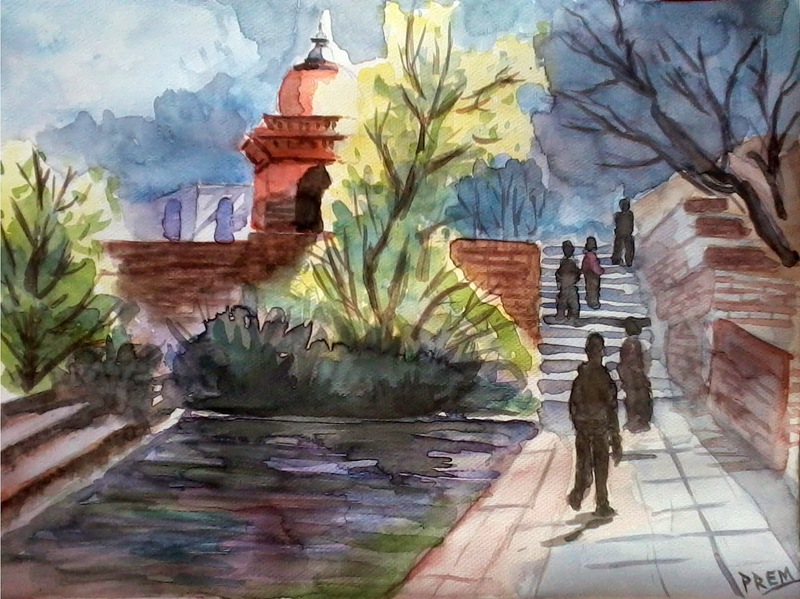 One good idea was to give paintings to my college, which would have double benefits for me. First of all, it would be my contribution to the college to decorate it and as a result I would be remembered by the college until the painting survives. Second, many people would know me as an artist which might help me later on to sell my paintings. So, I immediately executed my idea and gave the following two paintings to the college. These paintings have already been framed at the expense of the college, although that is not up to my expectation. But anyway, I am happy that I have pushed myself ahead to do something new. The above painting has been kept in the library of the college. Similarly, this painting has been kept in the staff room for the teachers. 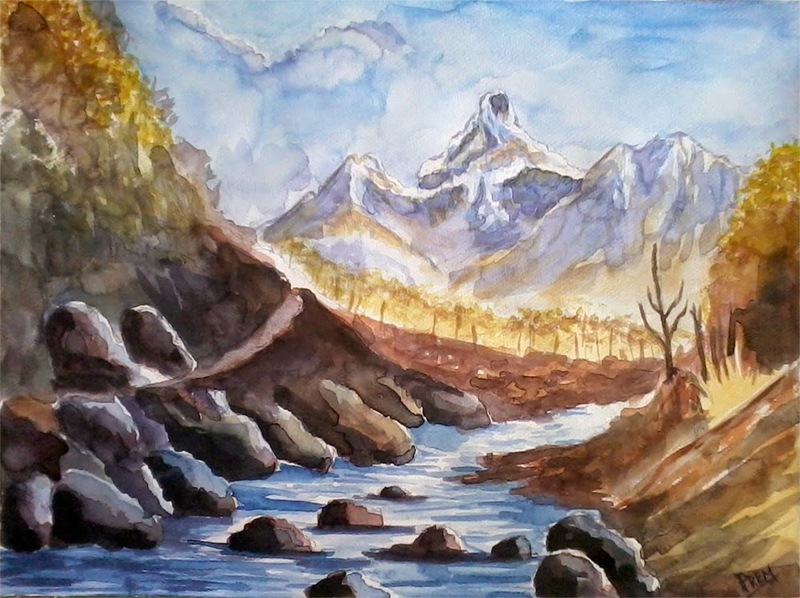 The first painting in this post was my most recent work, and I have already given it to my friend for his tuition center. 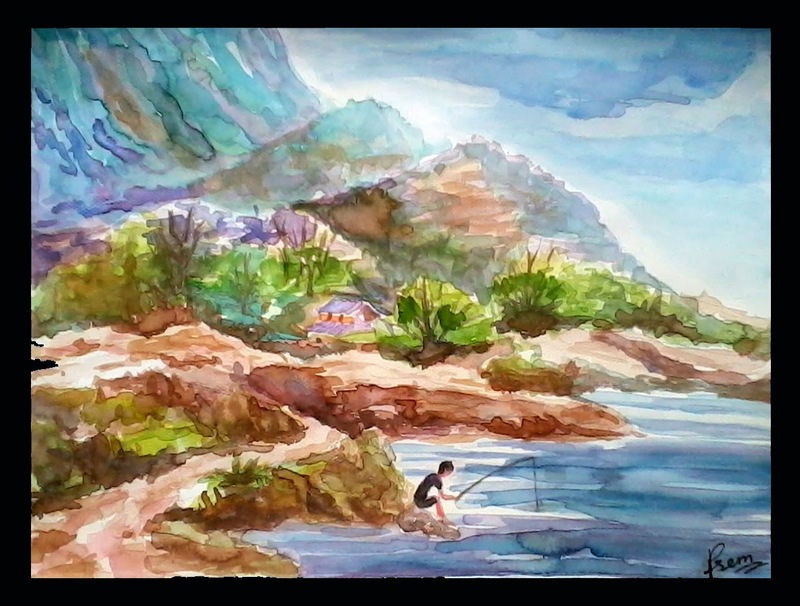 In this regard, I kept my words to make a painting for him. He had requested me to make paintings even before I made these paintings. So, I don't have any of these paintings with me now and I am happy with this decision. As of now, I have decided to give away, rather than keep artworks idle or unused with myself.